In 1996, founders Glenn and Susan Rothman created the world’s first branded diamond with Hearts on Fire. As a result of their patented cut, a diamond's surface area is increased and light is reflected through the top for brilliant fire. Visible perfection demands high standards. Only a tiny fraction of one percent of the planet’s diamonds can be cut in the Hearts on Fire style. As if that wasn't steep enough, the brand chooses to only use conflict-free diamonds. Few artisans are qualified to cut a Hearts On Fire diamond, and those who are must use a 100x magnification process for extreme precision. 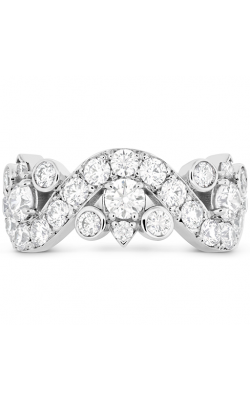 With intensely radiant diamonds, Hearts on Fire is a popular choice for engagement and wedding jewelry. The Purely Bridal collection utilizes tapered bands to create the illusion of a larger center stone, no matter the carat weight. Romantic Felicity Queen Anne has settings reminiscent of Queen Anne's lace. Many wedding bands are studded with perfectly-carved diamonds. 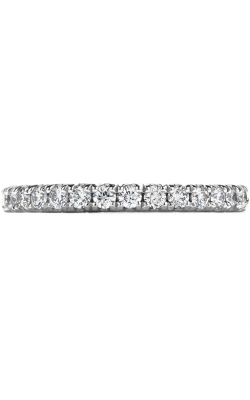 There are standard pavé bands available in a variety of widths as well as contemporary contoured and notched bands to cradle your engagement ring's center stone. Wedding bands double as stacking rings, round diamonds cover cocktail rings, and unconventional engagement rings make interesting additions to any right hand. Diamond earrings are a staple in any woman's wardrobe. Milgrain rims put a unique spin on the classic round stud, and diamonds decorate the length of uber-popular hoops. Charm and tennis bracelets feature the daintiest diamond details. The brand is on-trend with star and moon details accented with sparkling diamonds. Delicate bezel-set diamonds on whisper-thin, precious metal chains create the illusion of a décolletage dotted with light. 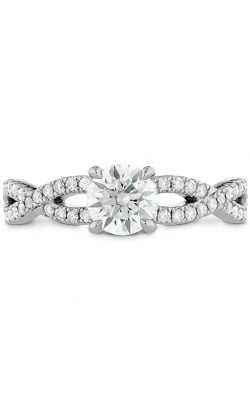 Why Shop for Hearts on Fire at Lewis Jewelers? Lewis Jewelers is the premier source of exquisite fine jewelry for the Detroit, Lansing, and Brighton areas. We have been a retailer of engagement rings, wedding bands, timepieces, fine fashion jewelry, and certified loose diamonds since 1921. In addition to providing fine jewelry for life's most important milestones and expert services, we support our local community through charity and partnership. For inquiries regarding our products, services, hours, and events, feel welcome to stop by our diamond showroom in Ann Arbor, Michigan. You may also browse our website or call us at (877)-885-3947.